A.C.T. Builders – 157th Ave. Anyone that has ever visited a home in Fairway Village knows that they will see an abundance of oak and laminate throughout the kitchen. This space was no different, but it also had a cave-like feeling with the addition of a drop ceiling. The island was at an awkward angle taking up much of the space with little functionality. 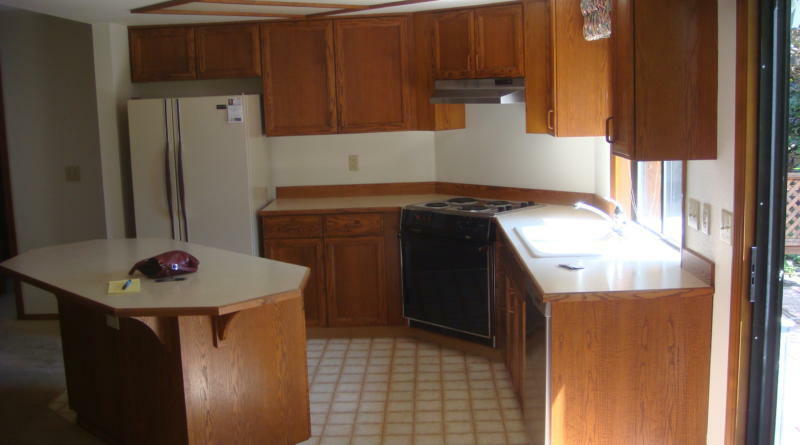 The transformation to this kitchen has made it truly unrecognizable from where it started. Utilizing a new product in the market for the cabinets to create a sleek and modern feel achieves the European design the clients desired. The real unique feature in this kitchen is the full glass backsplash. The entire wall behind the cooktop is one full sheet of glass which completes the sleek and modern look. Keeping the same footprint and using the space more efficiently the new kitchen is a fantastic place for a quiet dinner in or while entertaining a larger group. In addition to the kitchen we completed a full renovation to the hall bath. With a barrier free shower and floating vanity, the modern aesthetic flows right into the bathroom. The additions to the rear of the home were completed to create a new office space in the master and a large covered back patio. The new outdoor space was completed at the same level as the main floor allowing for a more flowing feel and rolling access for the “what if’s” in life. We are most proud of the fact that the addition was completed prior to the kitchen making this a repeat client which is always the biggest compliment we can receive! 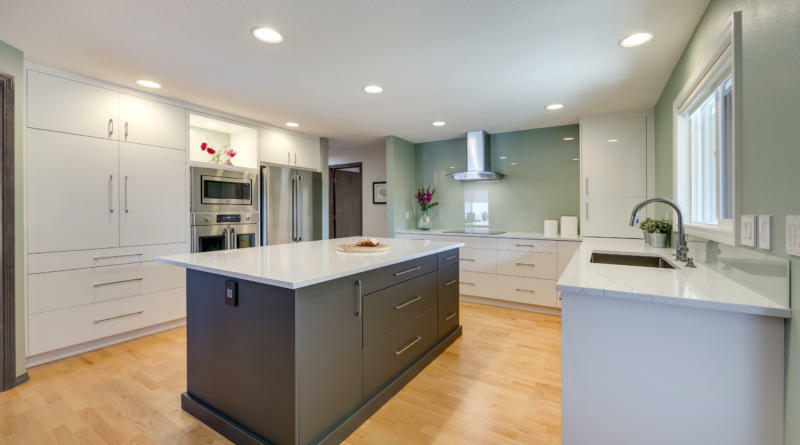 We are an elite contractor and custom home builder serving SW Washington and the Portland Metro area. We offer unsurpassed quality and service to our customers. As a company we take pride in the relationships we develop with our clients and trade professionals. With over 40 combined years in the construction trades, we have developed an extensive network of professionals allowing us to take on any job.